Ningbo Yinzhou Yichuan Artware Co., Ltd.
Q: What about the leading time9 A: In general, the leading time is about 30 to 60 days. Q: How about the packing and shipping9 A: Normally, we have carton for packaging and transport by sea. Please contact us to make sure the details before placing order. After our first cooperation we will offer free sample to our customer. 5. We have our own factory, produce our own design products and also accept the customized design. 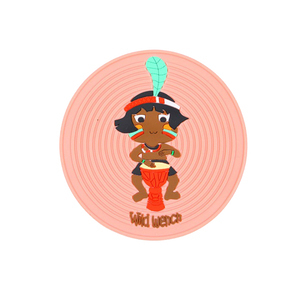 We can print or stick lable or make hang-tags according to your requirements. As a rofessional silicone factory, through 10 years of development and self-improvement we already have the most advanced production machines, professional management team, creative R&D department and technical production team. Warmly welcome friends from all over the world to our Our Service 1) Over 10 years' experience in silicone/plastic product Shenzhen Fei'aoda Technology Co., Ltd. 3) Our Customer Now we have opened up to North American, Europe, Australia, South Korea, Japan and other makerts, and established long-term partnership with Nestle, Sanrio' Hello Kitty, German supermarkets LIDI, ALDI and other famous brands. (2) Please reply us ,after you received the goods . (2) Reply a feedback ,if you are NOT satisfied our goods . (3) Please feel free contact us ,if you have any suggestion . If you are interesting in our product,check send now,contact us now ! 4. OEM case are welcome, we can also design according to your requirement. CangNan Zion Plastic Products Factory is a collection research and development, production, sales as one of professional production enterprises. 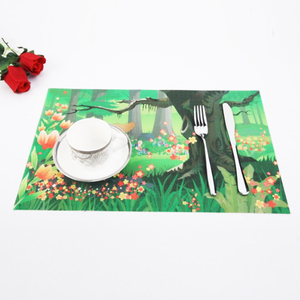 Alibaba.com offers 6,027 kids table mats products. About 46% of these are mats & pads, 1% are other baby supplies & products. A wide variety of kids table mats options are available to you, such as silicone, plastic, and fabric. You can also choose from free samples, paid samples. There are 6,104 kids table mats suppliers, mainly located in Asia. The top supplying countries are China (Mainland), India, and Taiwan, which supply 98%, 1%, and 1% of kids table mats respectively. Kids table mats products are most popular in North America, Western Europe, and Domestic Market. You can ensure product safety by selecting from certified suppliers, including 1,477 with ISO9001, 384 with Other, and 321 with BSCI certification.